Konami released a new trailer not on more news on the development of MGSV, but rather future DLC that will be available uniquely to Xbox One and PS4 users. “Deja Vu” is the special DLC that will be available for gamers who purchase MGSV on the PS4. As from the trailer, it appears that the Ground Zeros prologue to the Phantom Pain, will be playable as the “Classic Snake,” a.k.a., MGS1 Solid Snake. Other characters in the Ground Zeros chapter will also be changed, such as rescuing Chico will be replaced with the DARPA Chief, Donald Anderson from MGS1; actually Decoy Octopus. 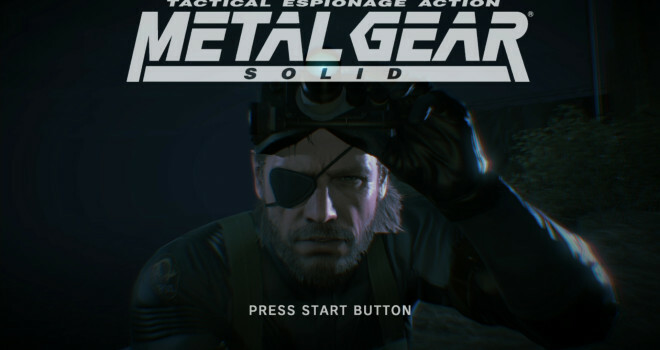 Players that have purchased MGSV for the Xbox One will be able to download the DLC called “Jamais Vu.” Another spin off mission from the Ground Zeros chapter, the enemy unit has been possessed by some type of supernatural being, stealing their identity, coined as, “body snatchers.” Instead of sending in Snake to resolve the problem, fans will have the chance to play as Cyborg-Raiden to complete the mission. MGSV will be available on all consoles, not just next-gen, but it pays to buy the latest “gen” and will be able to get some extra DLC for Metal Gear Solid V: the Phantom Pain. I’m guessing Konami is counting the WiiU as last-gen?